A Rwandan veterinarian has won the prestigious National Geographic Society/Buffett (NatGeo Buffett) Awards for Conservation for 2017 for his efforts to save crested cranes species in his native country. Dr Olivier Nsengimana who designed and implemented a unique conservation project to abolish the illegal trade of endangered grey crowned cranes, will receive a one-time grant of $25,000 to support his ongoing work. 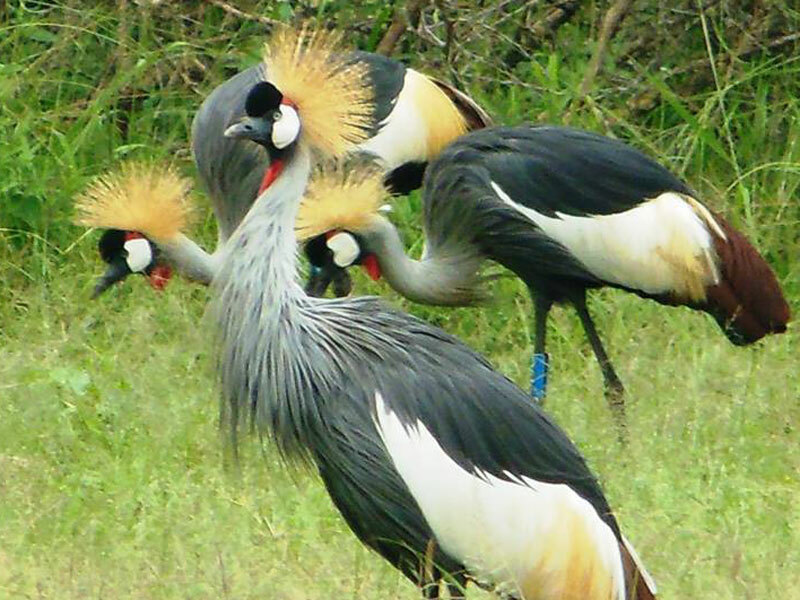 Nsengimana has since established the Rwanda Wildlife Conservation Association (RWCA), a non-profit organisation dedicated to expanding research and conservation projects connected to endangered or threatened species in Rwanda, including the grey crowned cranes. The organisation rallies communities to protect and save nature. To do this, Nsengimana’s teams teach them on the value of conservation and how they can contribute to that regard. The Rwandan will share the stage at the awards ceremony at the George Washington University Courtyard and Lisner Auditorium in Washington, DC, on Sunday, with Rosamira Guillen, a Colombian landscape architect and environmental designer-turned-conservationist. The annual National Geographic Society/Buffett Awards for Leadership in Conservation were established by the Society and The Howard G. Buffett Foundation to recognise and celebrate unsung heroes working in the field. Two awards are presented each year: one for achievement in Africa (established in 2002) and the other for achievement in Latin America (established in 2005). 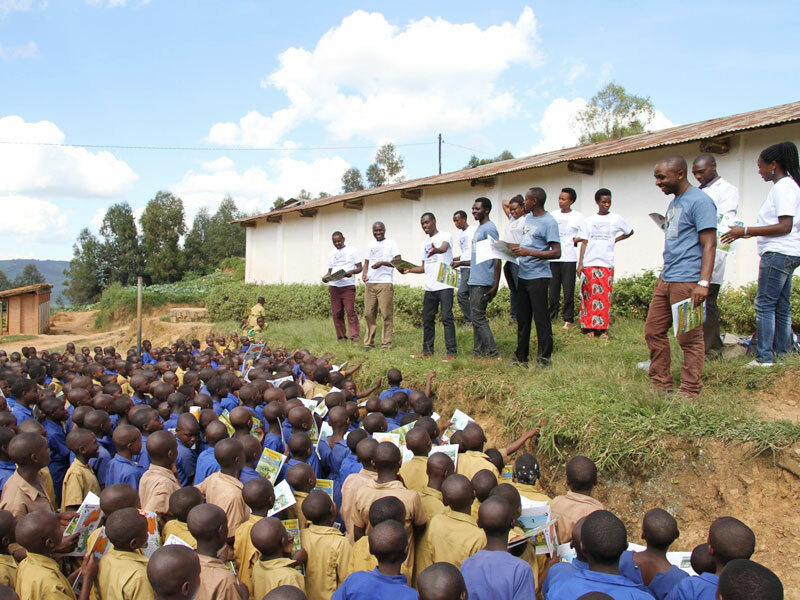 Dr Nsengimana and his conservationists teach schoolchildren the value of conservation. Recipients of the awards have demonstrated outstanding leadership in managing and protecting the natural resources in their regions and countries. In addition, they are each inspirational conservation advocates who serve as role models and mentors. “The individuals that hold the front line for conservation often go unrecognised while making great personal sacrifices. This award was established to motivate and support these great conservationists,” Buffett said of the awards. Howard G. Buffett is president of the Howard G. Buffett Foundation, which focuses on humanitarian and conservation issues. 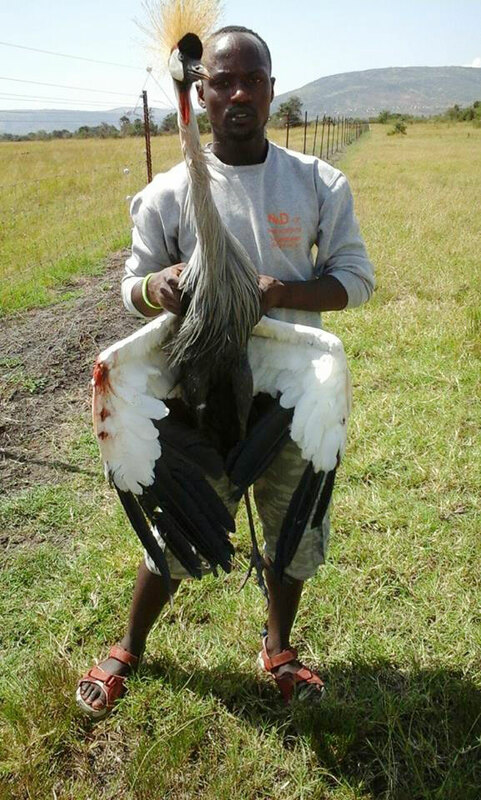 An injured grey crown crane rescued from a trap by Nsengimana’s team of conservationists. 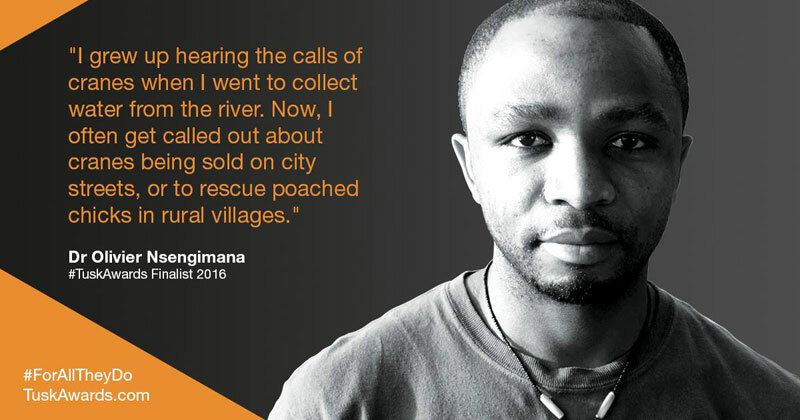 Nsengimana received a master’s degree in veterinary sciences, conservation medicine from the University of Edinburgh and has completed a field-based course in animal health interventions. In 2016, he was a finalist for the Tusk Conservation Awards. Award recipients are chosen from nominations submitted to the Committee for Research and Exploration, which screens each nominee through a peer-review process.